Dr. Brown's Milestones sippy bottle is perfect for baby's first transition from bottle to cup. 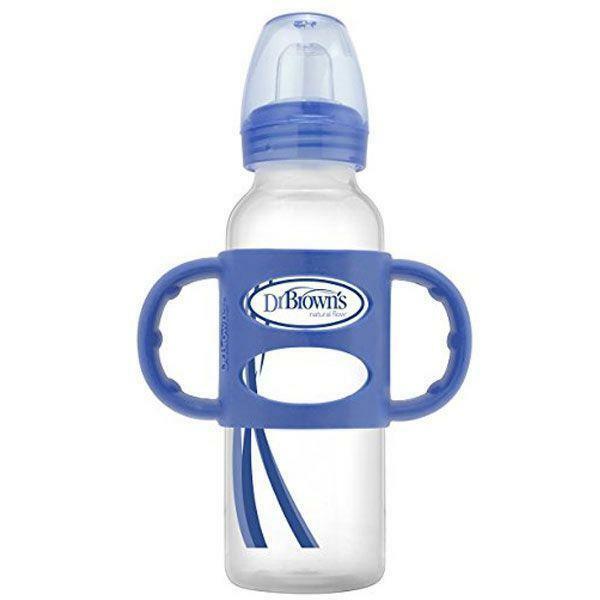 The Dr. Brown's Sippy Spout Baby Bottle includes a 100% silicone handle and soft silicone sippy spout making it easy to grip and easy to sip. Click the button below to add the DR BROWN'S NARROW NECK SIPPY SPOUT BOTTLE WITH SILICONE HANDLES 250ML Blue to your wish list.